While the use of shared calendars can be a huge benefit to the workflow of small businesses, many options aren’t really a good fit for them. In this post we review some of the options and offer one approach that has worked for many of our clients and may be a good fit for your business as well. NOTE: We will be updating this post to accommodate newer technologies in Mac OS X 10.7 (Lion) as well as changes to Apple’s MobileMe service. Shared calendars can allow all members of an organization — or a team within an organization — to create, view, edit and share appointments without having to send a flurry of emails and invitations back and forth. If set up properly, a solution can work well with your existing workflow, integrate with a variety of mobile platforms, and allow team members to access the group’s calendars from any location, with any device, and keep the entire team in sync in real time. This is particularly important when the schedules of multiple users need to be considered — team meetings, client presentations, and appointments that require the presence of another team member. Having access to a shared, up-to-date calendar allows everyone to confidently schedule appointments without having to check with HQ or risk having to reschedule due to conflicts. It seems that most of our clients interested in shared calendars have tried one of two approaches: Using Apple’s own MobileMe service, or using a program management or CRM solution such as Basecamp or Daylite that include shared calendaring as part of their feature set. MobileMe, offered by Apple, is a simple solution for wirelessly sharing calendars and other information among multiple devices (such as an iPhone, iPad, Mac or PC). For $100 a year you can keep all of your information in sync. Personal vs. Shared Calendars: With MobileMe, it’s all or nothing — you aren’t able to maintain a personal calendar on your computer and share a business calendar with other team members in a read/write format. Data Loss: We have seen a number of issues with data loss or corruption when organizations try to sync too many devices with MobileMe. Solutions such as Basecamp, Daylite and other sophisticated tools undoubtedly offer great options for calendar sharing (and many other great functions for small businesses as well). But for some small businesses these tools include features they simply don’t want — task assignment, project scheduling, collaboration, etc. — and may seem more like using a bazooka when all you need is a flyswatter. Many of our clients just want a reliable, simple, effective, no-frills option for sharing calendars — one that allows them to maintain their current workflow and use tools their employees already know. Our Solution: BusyCal by BusyMac. BusyCal is a simple program that allows you to sync with Google Calendar and share calendars on a LAN. It allows users to maintain their own personal calendars and also share group calendars with their teams. Although it replaces iCal with its own calendar, the interface is virtually identical — making it easy for your employees to make the switch without retraining. It integrates seamlessly with bonjour, iPad/iPhone (via iTunes or MobileMe), offers helpful features such as recurring To-Dos and sticky notes that can be shared with others on your network, and lots of options for customizing fonts, styles and colors. Hosting the calendars at Google has the added safeguard of ensuring that if any user accidentally deletes a calendar on their local machine, the calendar will still exist in Google Calendars. In fact, calendars can’t be deleted on individual machines, they must be deleted on the Google site. BusyCal also has the ability to automatically back up your calendars on a schedule that you specify, making recovering from accidental appointment deletions refreshingly easy. Back up your existing calendar data and export it in an iCal or CSV format. Import your existing calendar data into your Google Calendar account on the Google site. You can also import data from Entourage, Outlook or other calendar applications you may be using. Install BusyCal on every user’s machine. Then use its Google Integration function to link it to their Google Calendar account (or the single shared account if you decided to go that route). Sync to your Google calendar account. BusyCal will now keep your changes — and anyone else’s — up to date. 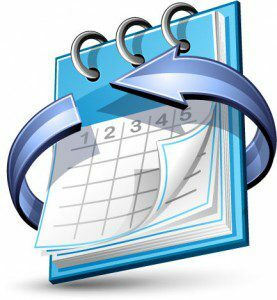 You can access your calendar locally through BusyCal, or on the web in your Google Calendar account. Your iPhone or iPad can interact directly with Google Calendar as well, ensuring that you’re up-to-date no matter where you are. BusyCal will automatically track who last edited a particular appointment. With BusyCal you can still maintain personal calendars on your own machine that aren’t part of your shared Google Calendar account, and you can still use MobileMe for two-way syncing of your data. If you want to keep using iCal instead of BusyCal, BusyMac also makes a little program called BusySync that will keep your iCal and Google Calendars up to date without requiring that a particular application has to be open. BusyCal must be open for syncing to take place. Have you found another shared calendaring approach that works for your business? Please let us know!